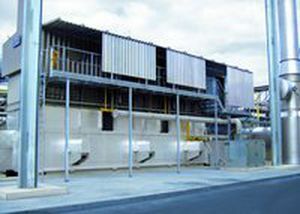 The regenerative thermal oxidizer from type Ecopure® RTO are characterized by a cost optimized, a standardised and a low maintenance design. The most modern process technology of the Ecopure® RTO allows a economic disposal of solvent-containing and offensive odour exhaust air with a efficiency of over 99,8%. Due to different design options the Ecopure® RTO is insertable universal. The patented air routing with tightly sealed, low-maintenance stainless steel disc valve guaranteed the best possible heat exchange flow at minimal area requirements and greatest ease of maintenance. Because of the intelligent RTO design it is possible to modularly expand the quantity of heat exchangers for a better capacity management. 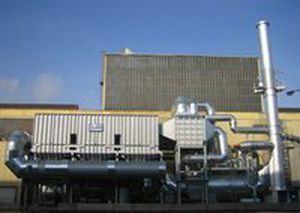 Ecopure® RTO plants are used mainly for exhaust air volumes with contaminant concentrations of up to approx. 10 g/mN³. In this case additional fuel need not be supplied.